Thomas C. MacDiarmid is an associate at Gray, Rust, St. Amand, Moffett & Brieske. His practice primarily focuses on insurance law, personal injury, premises liability, and construction litigation. Tom received his Bachelor of Science in 1980 from Massachusetts Institute of Technology in Political Science. He received his Juris Doctor from Vanderbilt University School of Law in 1983, graduating in the top third of his class. Tom began his legal practice at a staff counsel office for a major insurance company. His areas of practice included insurance coverage, premises liability, and personal injury. After that office closed, he maintained a private practice office in collections, personal injury, probate, franchise, and premises liability. 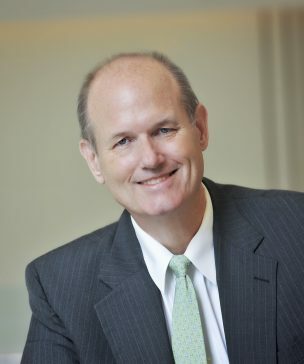 He has also worked with other insurance staff counsel offices and law firms as well as being a special assistant attorney general for tort claims for the State of Georgia. Tom has tried dozens of jury trials solo, including defending 11 jury trials to verdicts less than last-offers in a single calendar year. Tom has also briefed and/or argued numerous appeals. After thirty years of successfully representing insurers, insureds and the State of Georgia, Tom brought his experience and dedication to his clients to Gray, Rust, St. Amand, Moffett & Brieske. Tom enjoys hiking, working out at the gym, and taking his St.Bernard-mix to the local dog park. He is married with three grown children.